Ideal for roofs where space is at a premium or where future expansion might be needed. SunPower® Signature™ Black X-Series panels blend harmoniously into your roof. The most elegant choice for your home. Designed to deliver the most energy in demanding real-world conditions, in partial shade and hot rooftop temperatures. Designed to deliver consistent, trouble-free energy over a very long lifetime. 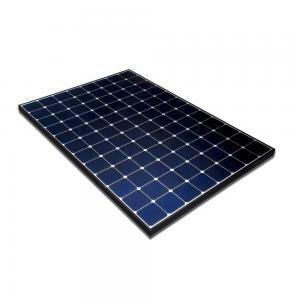 The SunPower Maxeon Solar Cell is the only cell built on a solid copper foundation. Virtually impervious to the corrosion and cracking that degrade conventional panels. X-Series residential panels convert more sunlight to electricity by producing 38% more power per panel1 and 70% more energy per square foot over 25 years. High year-one performance delivers 8–10% more energy per rated watt. This advantage increases over time, producing 21% more energy over the first 25 years to meet your needs. 25-year warranty: Guaranteed efficiency minimum 95% for the first 5 years !!!!! Depreciation 0.4% / year for the first 25 years !!!!! 40 Years of Life!